Law of attraction: I've Learned from my personal development studies that wealth is simply a state of mind. It is like most other things in that it reacts to how you feel about it. If, for whatever reason you think you are unworthy of something you are automatically raising a mental barrier against it. Even if the thought process is unintentional you will NEVER attract the object of your desire. Alternatively, if you are constantly thinking about the lack of something, whether it is money, love, friends health etc. then that is what you will get. The reason for this is that your subconscious mind thinks it's what you want, and thus it dutifully delivers it to you. Wealthnugget4u:- Law of attraction: Obliterate conflict from your conscious mind by adopting more suitable affirmations. I AM rich, slim, popular etc. maybe untrue for you at this current time. Whereas. I am BECOMMING richer, slimmer, more popular etc, is a much more realistic affirmation. By removing the conflict not only are you greatly increasing your chances of success but you are also preventing a poorly phrased affirmation from having a negative effect upon you. LAW OF ATTRACTION: HOW DO I AQUIRE PRESTIGE CARS? One day whilst I was travelling around in my run of the mill company car it suddenly occurred to me. I was worthy of a much better vehicle. Afterall, I was a company director of a successful company, so why wasn't I driving a better car? At his juncture, please don't be discouraged. Yes, I was and still am a company director, but a couple of years earlier I had applied the law of attraction in exactly the same way with my job and one day, right out of the blue, the company chairman called me to his office and announced he was offering me a directorship. I believe that you have got to genuinely want something, whether it's wealth, success, good health etc. to allow it to come into being. I used to drive a saloon car, don't get me wrong it was a decent, reliable car. But I decided I wanted a prestige car, something with the wow factor and something that reflected my increasing status and personal-development. I decided I wanted a BMW, a black one. So that is what I started to 'drive'. I totally convinced myself that my current car was, in fact, a BMW. The law of attraction: Back when I was a kid I used to imagine the crap they gave us for school dinners was, in fact, my favourite foods. (You never did that? Maybe it was just me!) Especially when I saw kids stirring jam into their sago-puddings to make them go pink. Gross, but still, happy days. It certainly helped me to enjoy the food more though, but I suppose being first in the queue for seconds was taking it a bit too far. Only kidding. The manifestation process for the BMW took about 18 months. I used to tell everyone that I wanted a BMW. Friends, work colleagues anyone that would listen. People actually started to tell ME that I should be driving something like a BM, it was spooky. The real scary part though was going to our local BMW dealership and getting all the bumf on the new model that was due out a couple of months time. 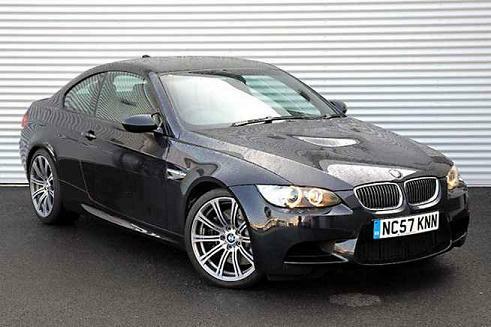 You see I had convinced myself that I was worthy of driving a £32k car. The rest just seemed to flow. Two months later the car of my dreams sat purring on my drive. It looked really sleek, had wheels to die for and was just breathtaking. I'll never forget that feeling. Wealthnugget4u:- Law of attraction: Whenever something pleasant happens really dwell on the feeling, make the effort to write down exactly what you are experiencing. Then keep practicing getting back in to this state. Good things will soon start to happen. That was nearly four years ago. 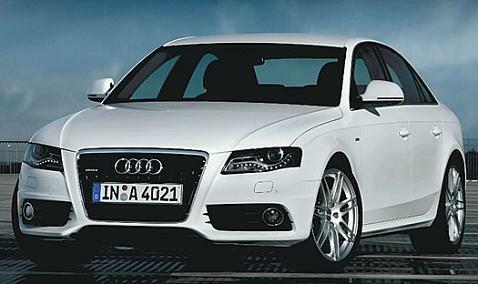 I now drive a white Audi A4, it looks the business and everyone comments on it. I acquired this car right in the middle of a serious credit crunch. The feeling was just as enjoyable, if not better than when I got the BMW. I'll admit that I'm at the stage in my own personal development whereby my mind is so highly trained to ultra positive thinking that I am extremely skilled in the manifestation process. However, I promise, that as soon as you begin to practice it you will experience moderate success immediately, and this will start to snowball in no time at all. Trust me, if you genuinely want wealth, you'll get it. The cars are not the biggest thing that I've attracted. That was our second home. A £160k luxury lodge, set in the countryside, but I'll tell you about that personal development experience another time. Law Of Attraction - Wealth Main Page.